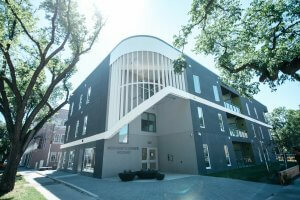 The new Merchants Corner facility features 30 units of Rent Geared to Income housing and is an educational hub hosting the University of Winnipeg’s Department of Inner – city Studies and CEADA- Pathways to Education Program. It also includes a common space open to the community in which literacy programming for preschoolers is offered. With the redevelopment of Merchants Corner and the addition of the facility to the North End campus, the culture of the North End is shifting. The result is more North End residents attending school at all ages, including post secondary education; more North End residents graduating from high school and earning university degrees; and more North End residents in the paid labour force, in well paid jobs. This in turn will strengthen families. Stronger, healthier communities will result.